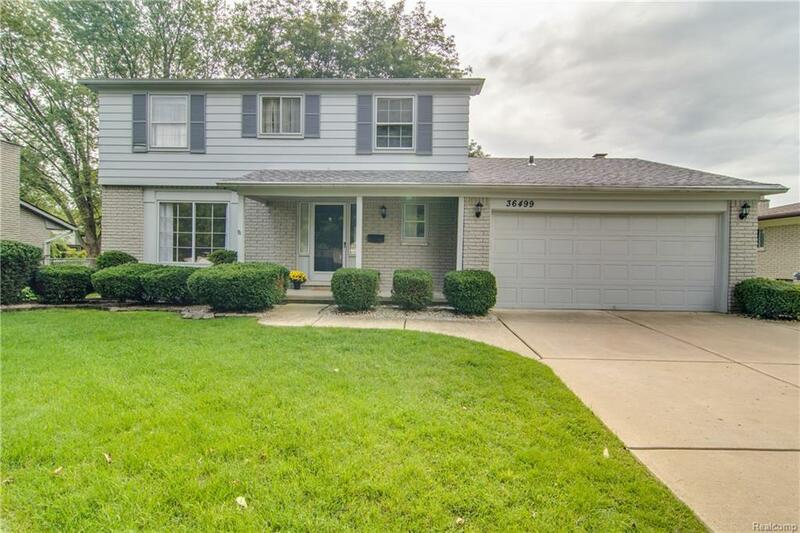 OPEN HOUSE SAT 11/10 1-3PM Nicely updated 4 bed 2.5 bath colonial with a finished basement in Livonia School District! Highly desirable location with plenty of up-grades. Newer furnace and roof (8 yrs). Freshly painted in most areas. New laminate flooring in foyer and breakfast bar with upgraded granite counter tops. 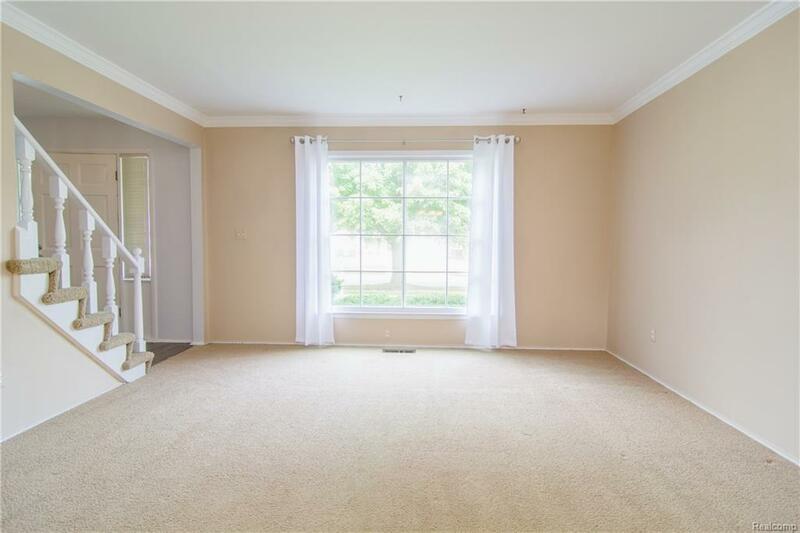 New carpet in family room with brick surround gas fireplace and door wall leading to the back patio. Carpeted dining and living room have HWF under the carpet. Updated ~ bath on the main floor and first floor laundry. 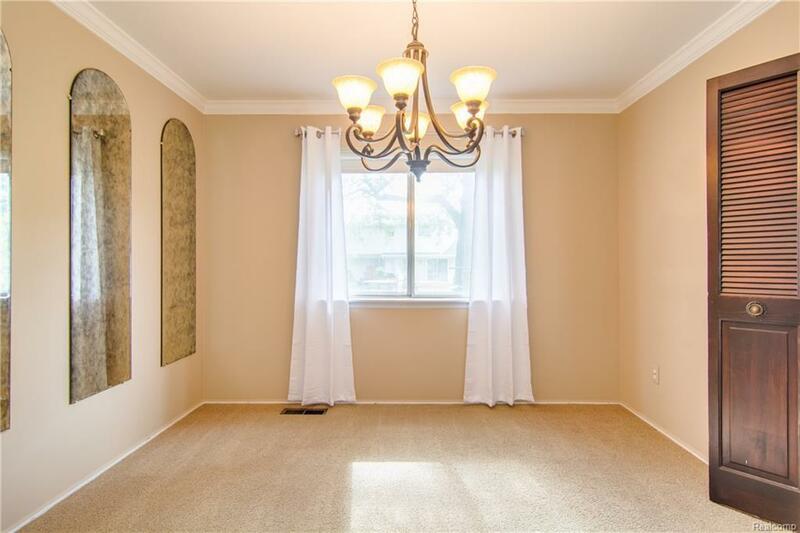 Upstairs with 4 bedrooms, master suite with full bath/stand up shower and new carpet. 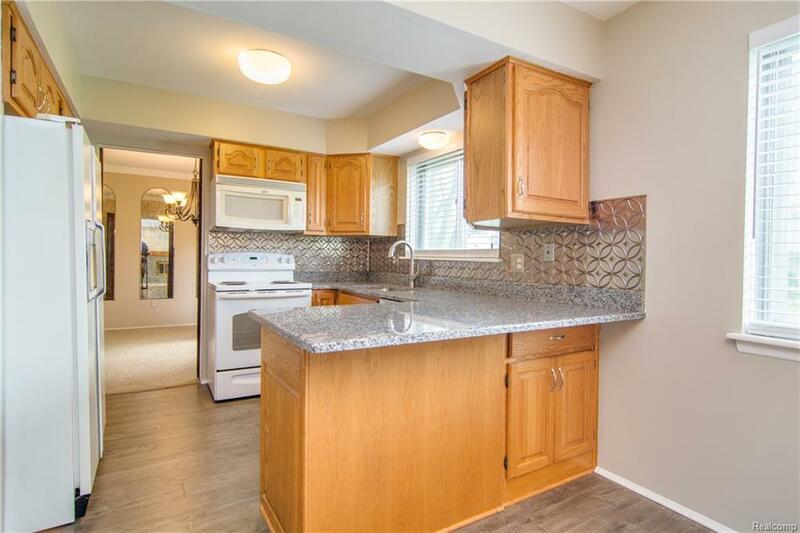 3 additional bedrooms and full bath with new granite counter top and dual sink vanity. All bedrooms have HWF under the carpet. Mostly finished basement allows for extra play/family room area. Walking distance to Hoover elementary and Holmes middle school. Close proximity to Fairway Farms and Newburgh Swim Club. Do not miss the opportunity to purchase this lovely home!